Holland America Line sold the 1988-built Prinsendamto German cruise company Phoenix Reisen. Following the sale, the 37,983-ton, 835-guest ship is being chartered back to HAL to continue sailing its planned voyages through 1JUL, 2019. Prinsendam’s itineraries from then onward will be assimilated by Rotterdam, Volendam and Veendam. HAL says itis reaching out to booked guests and their travel professionals to re-accommodate them on these cruises. Prinsendam has had a few incarnations since it was built in 1988 as Royal Viking Sun for Royal Viking Line. The ship was operated by Cunard Line from 1994 through 1998 and then transferred to Seabourn Cruise Line, where it became Seabourn Sun in 1999. 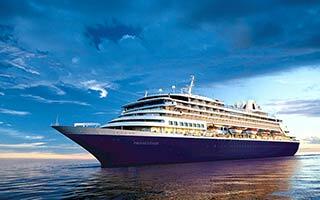 In 2002, the ship joined the Holland America Line fleet and was renamed Prinsendam.